February 7th: Brian Spence is born in the Clermiston area of Edinburgh, Scotland to Margaret and Tom Spence. 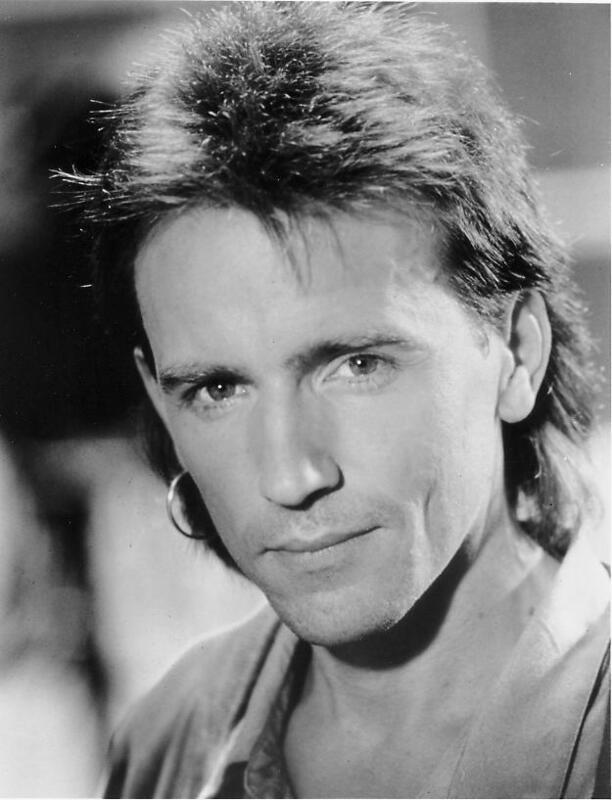 Also amongst his family are brothers Kenny, Stuart (who later played bass in Brian's touring band around the time of the "Brothers" album) and Douglas. 1961 Ricky Stevens, Debbie's father, has a hit with "I Cried For You" in December. It reaches number 34 in the British chart. Whilst growing up in his teens, Brian's musical influences were Peter Green (of Fleetwood Mac fame) and Jimi Hendrix and was soon in a number of local groups including his first band called Expo at the age of 14. The members of the band include Brian on bass guitar, Bob Creamer on rhythm guitar, Roy Martin on lead guitar, Brian Gordon on vocals & Tom Wight on drums. They gigged for a year or so in and around Edinburgh before splitting. Roy was the only other one who stayed within the live music industry. Bob started his own successful mobile disco, OSB, which is still going. 1968 Expo appears at the International Club on Princes Street in Edinburgh. Brian leaves Broughton Secondary School (Broughton Road) in Edinburgh, aged 16. Brian, now playing electric guitar, joins the group Bilbo Baggins at the age of 17. The band comprises of Colin Chisholm (vocals), Jimmy Devlin (bass), Gordon Liddle (drums), Gordon McIntosh (guitar) plus Brian (of course). The group was managed by Tam Paton, who also looked after The Bay City Rollers at the same time. Bilbo Baggins start to have success, releasing two singles this year, "Saturday Night" and "The Sha-Na-Na-Na Song". Bilbo Baggins success continues with the release of the "Hold Me". Further single releases for Bilbo Baggins with "Back Home" and It's A Shame". They also appear on Granada TV's music show "Supersonic", performing "Hold Me". The b-side of "Hold Me" features the first Brian Spence written track "What's Goin' On" to see vinyl. After the quiet year of 1977, and a change of record label Bilbo Baggins release "I Can feel Mad". After a slight name change from Bilbo Baggins to Bilbo the group releases "She's Gonna Win" (which reaches number 42 in the UK singles chart), "Don't Blame It On Me" and "America". Also of note is that all tracks are now written by Brian. Bilbo also split up this year. Brian starts writing tracks that will eventually appear on the "Chisholm and Spence" album. The songs are published under the name of April Music. By 1980 Brian is in the duo called "Chisholm and Spence" with Colin Chisholm, the former lead vocalist of Bilbo. They released a self-titled album, and a couple of singles from it on both sides of the Atlantic. The singles from the album include "You Can't Get Near Enough To The One You Love" and "Your Last Letter". Brian writes and performs along with Colin on Kenny and The Car Parks "Top Speed" single. Colin plays on the drums whilst Brian performs on guitar and bass, with both of them adding harmony vocals. By 1984 Brian had gone solo. He toured constantly to create his own unique sound and it was during this period that Brian formed the basis for his two superb solo albums; full of great music and lyrics. A band called The Mood release a Spence penned track called "I Don't Need Your Love Now" and produced by Paul Cobbold. Sounding similar to A Flock of Seagulls it doesn't bother the charts. 1986 The album "Brothers" released in September. The first single is "Hear It From The Heart" followed by "Brothers". March 1st: Brian appears at "Musikcafe'n", Copenhagen.Brian was performing with a band of local musicians, including his brother (I'm assuming Stuart), who lived in Copenhagen at that time. "City Of Shadows", a single to promote the film "P.I. Private Investigations" released. The album "Reputation" released in May. Singles from the album include "Reputation", "Come Back Home" and "Without Your Love". Debbie release a single called One Love, with Lover Boy on the B side. Both tracks are penned and produced by Brian. Brian supports Tommy Conwell on a 13 date tour of the USA during November. The venues are mainly along the east-side taking in Florida through to Maryland states. The tour is supported by heavy rotation plays on USA local radio stations. These include WLLZ, WYNF, KSHE, KEZE, KJOT, WMRY plus others. Chisholm and Spence release a single called "Hibernian" under the name of "Hibs Heroes". It is a football song about the Hibernian football club. 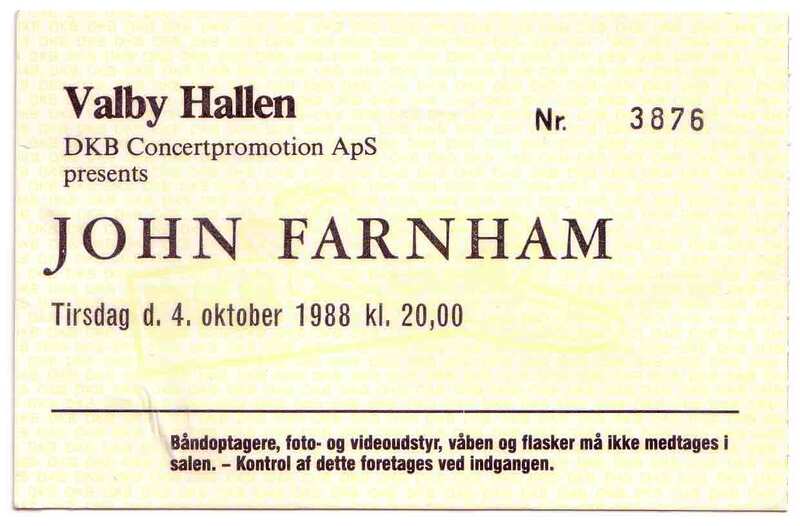 October 4th: Brian appears at "Valby Hallen", Copenhagen (John Farnham had the headline).Brian was performing solo, warming up for John Farnham. 1989 January 31st: "Mean Fiddler", London Brian was preforming a solo show which was not focused on "Reputation". Within the show Brian performs some Jimi Hendrix plus other material from the 60s. "Travellin' Man", a single released (in February) was intended to herald a new album. Unfortunately, the album did not get made. In May Dusty Springfield releases her cover version of "Reputation", a huge compliment to Brian's writing skills, which reaches number in the UK singles chart. Brian releases a new album called MacGregor's Trap. It is a musical version of Robert Louis Stevenson's Kidnapped and released only to cassette tape through Little Big Foot Records. Apart from Brian, others performing on the album are Debbie McKenna, Colin Chisholm, Tam White, Maggie Reilly and Jackie Hayes. Brian and Debbie form the group The Cheeky Buffaloes and release an album. Brian works with Michael Ball on four tracks, "From Here To Eternity", "The Lovers We Were", "When We Began" and "My Arms Are Strong". Brian wrote, performed and produced the tracks. 1995 In August Brian's musical based on Robert Louis Stevenson's "Kidnapped", called "McGregor's Trap", finally makes it to the stage at the Edinburgh Festival. Amongst the cast are Brian are Debbie McKenna, Colin Chisholm, Joanne Ramsey, Louise Kenny and Chesney Hawkes. The show was brought together by Dominic Marshall. "One Love" is released by Debbie McKenna, written and produced by Brian. The b-side "Lover Boy" was also done by Brian. Chisholm and Spence reunited as the support act for the UK tour of Don Williams, an American country artist. Allstar Tribute Acts web site is created by Brian to help promote acts that perform tributes to music stars. Brian spends any spare time writing and producing music for younger R&B and garage acts based around London. One act Brian helps is a London-based garage group called 4-Play by producing a number of tracks in his recording studio. Brian works with East London garage group 4-Play to produce some songs for them. I was looking for a unique topic to base a web site on. Sue (My partner) asks me where Brian Spence comes from. I do not know, but the musical style suggests Scotland, but I vow to find out. In asking this, what appears to be a simple question, I realise that there are no sites dedicated to Brian Spence. In November the predecessor to Spence Music is born. It is a basic site, that does not have a name, and discusses the albums Brothers and Reputation. Over time it gradually builds into a (hopefully) more informative site. On December 30th I see Brian and Debbie for the first time. Early in 2002 Bill Kenwright, a theatre producer, announces that he hopes to be able to bring "Jeanie Skye", previously known as "MacGregor's Trap" and a historical musical by Brian Spence, based on Robert Louis Stevenson's classic novel "Kidnapped" to the Edinburgh stage in 2002. In April I meet up with Brian for the first time. We discuss web site design and musical influences. He lists Kate Bush among his favourite singer-songwriters. Brian announces a project called "The Cheeky Buffaloes", which also includes Debbie McKenna and Stuart Irving. The work is linked to "Jeanie Skye". 5th November: Virginia Irving announces the name of a new group that comprises Stewart Irving, Debbie McKenna and Brian Spence. The group had been known, for a brief time, as The Cheeky Buffaloes (a name that had been previously used by Brian and Debbie) but were now to be called The Wish. They create enjoyable, catchy acoustic pop. Dates and an album of new tracks will follow. February 7th: Brian hits the BIG 5-0. That's officially old (in my book - until I get to that age). SpenceMusic web site is born in March of this year. August 23rd: Brian and Debbie marry after being together for 20 years. The ceremony was good humoured and took place at the Belvedere and Erith Congregational Church, London. For more information click on the link. September: "Postcards" the album by The Wish is offically released on an unsuspecting public. It is well received by everyone who listens to it. In December Brian and Debbie split away from The Wish due to conflicting priorities. February: The premiere of Picnic at Hanging Rock in Chichester. A really great show, a video of which can only hint at how good it was. April 2nd: Bilbo Music website launched. This is a joint venture with Ritchie Finney to highlight the fun that was Bilbo Baggins, one of Brian's previous bands. 2008 October 29: Picnic at Hanging Rock plays at the Maddermarket Theatre in Norwich. 2009 July 23rd: Picnic at Hanging Rock plays at the Wilde Theatre in Bracknell, Berkshire. 2010 November 6th: Brian plays his first concert with a full band in many a year at Campo Pequeno in Lisbon, Portugal. EVeryone there really enjoyed it (including Brian) and hoped for a repeat performance.